Egypt condemned "in the strongest terms" a terrorist attack Wednesday outside the UK Parliament that left five people dead and 40 injured. “This requires a comprehensive approach to confront terrorist organisations that involves intellectual, financial and security aspects, and concerted efforts to stop the spread of the destructive thought adopted by these oppressive groups,” the statement by the spokesman read. On Wednesday, five people were killed and 40 were injured in London after a car plowed into pedestrians on Westminster Bridge and a suspected Islamist-inspired attacker stabbed a policeman close to Britain's parliament. The deceased, in what police called a "marauding terrorist attack," included the assailant and the policeman he stabbed. 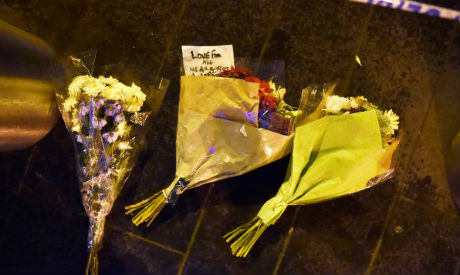 The other three victims were among those hit by the car as it sped across Westminster Bridge before crashing into railings just outside parliament. No group has yet claimed responsibility for the suspected terror attack. This is London’s deadliest attack since four British Islamists killed 52 commuters and themselves in suicide bombings on the city's transport system in July 2005, in the city's worst ever peacetime attack.